On a cloudy and chilly Sunday morning in January 1997, a hardy group of citizens came together and sowed native wildflower seeds in ten, long-neglected plots within the Sacramento Historic City Cemetery. This group was composed of a few members of the Sacramento Valley Chapter, Sacramento City and County staff, and folks from the community who answered the call in the local newspaper for garden volunteers. Before this group started their work that morning, the irrigation system was non-existent and weeds and scraggly ornamentals grew in crumbling plots. Today, there is still no irrigation system (other than the hose bibs distributed throughout the garden), and crumbling plots are still being repaired. However, thousands of hours of laboring later, those ten plots have expanded to over 100 plots covering 3/4 of an acre containing 125 different species of California native plants. This gothic garden now pulses and hums with life from the numerous species of songbirds, native bees, and other pollinators that seek cover and food. I like to think that our historic residents appreciate the work we have done for their resting places as we tidy up their monuments and repair their beds, as well as the hundreds of living human visitors who have also enjoyed this native plant sanctuary in the middle of the city. As one of the garden co-founders and now the primary garden coordinator, volunteering in the garden for most of its twenty years has been immensely satisfying. I continue to meet wonderful people who come to volunteer or happen to stop by to visit the garden. I particularly enjoy helping visitors visualize a water-wise home garden that showcases California’s rich botanic history and supports our songbirds and beneficial insects. What might the next twenty years hold? Our hardy little group of volunteers will continue our core mission of educating the public about the benefits and beauty of native plants. We’ll do this by refining the garden layout and design, adding more plant species to the garden, hosting more garden tours, and adding workshops for the public. If you would like a tour of the garden or would like to find out how to volunteer to help us reach our goals, feel free to contact me! Cassandra is a native Californian, landscape architect, restoration ecologist, and watercolor painter. She became a CNPS member of the Sacramento Valley chapter in Fall 1996 after graduating from Cal Poly San Luis Obispo and moving to Sacramento. When she’s not landscaping, restoring, or painting, you might find her flower peeping during a desert Super Bloom, stand-up paddleboarding, native plant shopping, or skiing. One of the great pleasures of observing a native plant garden grow up over the years is seeing an increase in plant and wildlife diversity. The efforts of volunteers at the Arcata Community Center Native Plant and Wildlife Garden in Humboldt County did just that-adding 29 species of native plants. This diversity also included four species of amphibians, four species of mammals, 16 species of butterflies, and nine genera of bees including the establishment of a thriving nesting site for hundreds of Halictus tripartatus, a native bee. 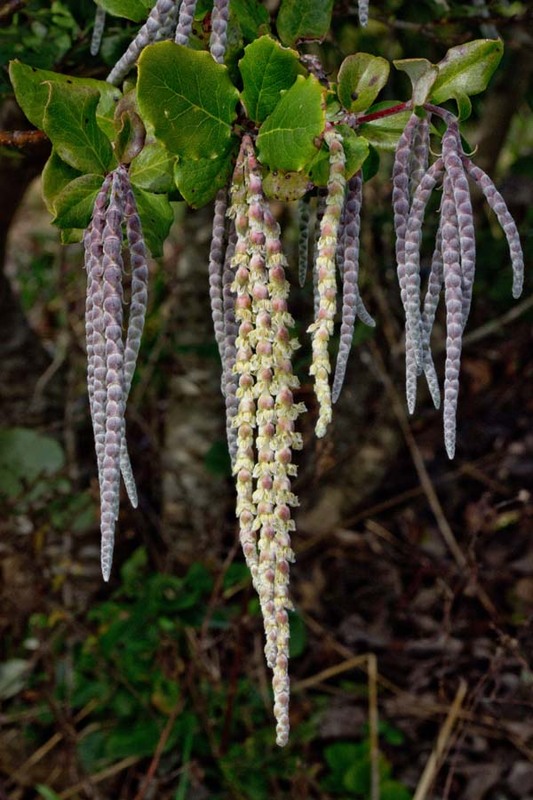 The Arcata Garden was established on February 27, 1999 when volunteers from the California Native Plant Society-North Coast Chapter (CNPS-NCC) planted various species of native plants in an 0.1 acre waste field near the Arcata Community Center. This planting emerged from an agreement between the City of Arcata, represented by Dan Diemer, Parks Superintendent, and CNPS-NCC, represented by Pete Haggard, Garden Chair. The agreement stipulated that the City of Arcata provide the site and planting stock for the initial planting, and the CNPS-NCC provide volunteers for planting and ongoing maintenance of the site. After 17 years Arcata now has a beautiful, stable natural area that requires no water, fertilizer, or mowing and very little physical maintenance by employees. As a committed CNPSer, I have enjoyed these years of tending the garden and seeing blossom into fruition. Since the garden is located in an area with heavy pedestrian traffic, including college and high school students and people visiting the Arcata Community Center, it is an excellent place to further one of CNPS-NCC’s goals-to educate the public on the value of a biodiverse native landscape in urban areas. As the garden matures and creates more niches in the landscape, I look forward to seeing more wildlife and native plants utilizing this site. Both the City and CNPS-NCC have benefited from this agreement, which has provided the public with a permanent garden with natural beauty and an educational tool for the CNPS-NCC. For more information on the garden, the plants and animals that live there, or a tour of the garden, contact me! The hills and canyons around San Diego are tough, dry terrain, but hundreds of amazing native plant species thrive nonetheless. Although rugged, these hills are home to delicate flowers like Weed’s mariposa lily, mission manzanita, and great horned owls. Dennis Mudd, founder of MusicMatch and Slacker Radio, wanted to recreate this same natural beauty on his six-acre property — a desire that ultimately ignited his passion to help Californians restore nature one garden at a time. 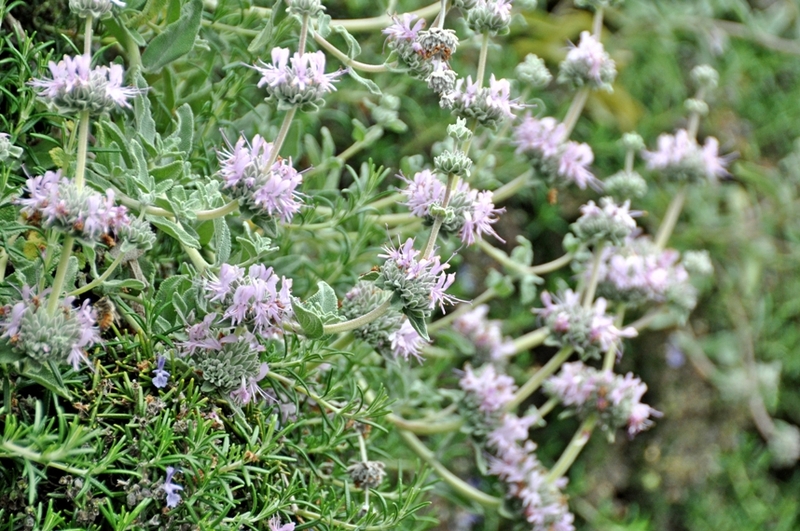 Located in Poway, Mudd’s garden is an inspiring example of a California native garden at its best. With more than 120 types of plants, simulated creeks, rain water catchbasins, the Mudd property is not only a beautiful oasis for humans, it’s also home to many types of pollinators and more than 40 species of birds, including a resident family of Great Horned Owls. But it wasn’t easy at first. 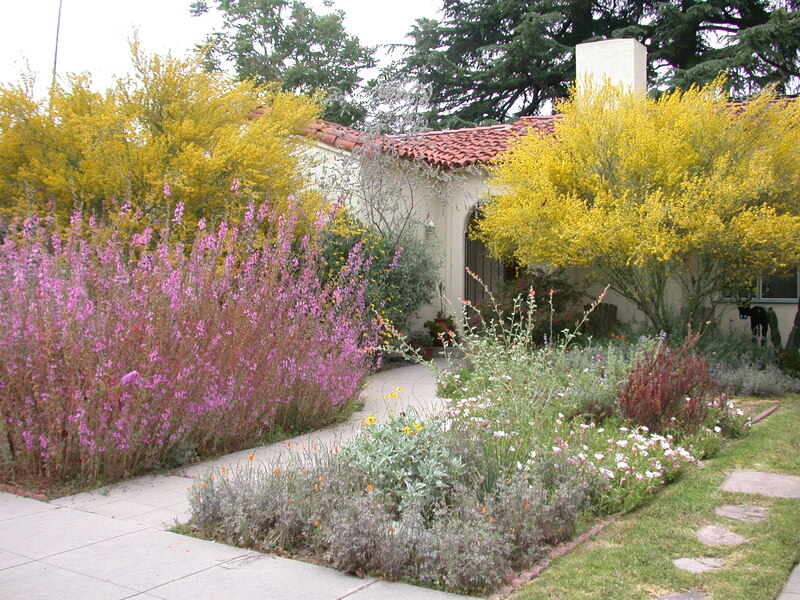 Like many drought-conscious Californians, Mudd launched his landscape project 12 years ago using commonly sold low-water imports like rock rose, butterfly bush, and kangaroo pods. Yet those didn’t get him any closer to the native landscapes he saw while mountain biking on the trails near his home. He then invested in a wide range of California natives, but within five years, many were dead. Although Mudd was on the right track , most of the California natives he initially used weren’t native to his location. And that was Mudd’s light bulb moment. In a state as biologically and geologically diverse as California, locality matters. What grows in the loamy soil of the Sacramento River Delta is bound to be vastly different than the arid hillsides of Southern California. And yet, many gardening enthusiasts make the same mistake — planting California natives that may be totally inappropriate to a specific region. 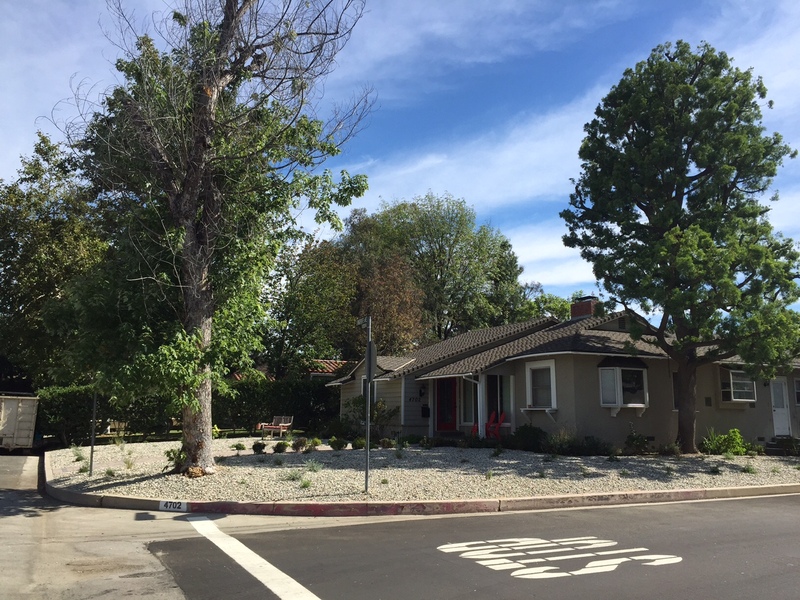 It was this understanding that inspired Mudd to create Calscape, a powerful garden-planning tool for laypeople and professionals alike that lets users discover which plants are truly native to where they live. Using Calscape, people can search multiple criteria to build plant lists for their gardens, see which nurseries carry those plants and get tips for growing and cultivation. 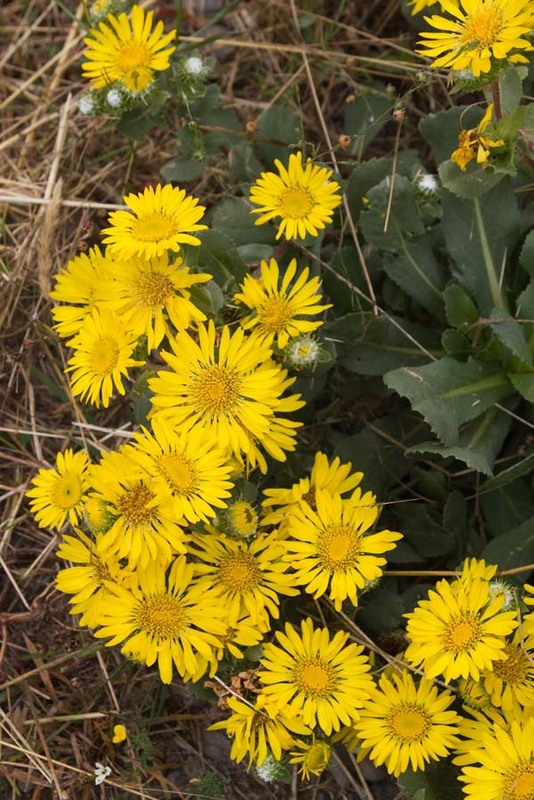 The site features a database of nearly 7,000 California native plant species with maps based on more than 2 million GPS field observations from the Consortium of California Herbaria. Advanced Search — This new feature allows you to search by multiple criteria at once, layering in queries for location, plant type, water needs, size, fragrance, flower color and more! You can even select specific nurseries to quickly see where your plants are available. “Quick Shop” — Now, you can add plants to your list without opening a new page. Build a plant list in less than two minutes! Mobile Friendly — Calscape is now as easy to use by phone and tablet as on your desktop. Use it to look up plants at the nursery or reference your plant list while you shop. Climate Modeling on Range Maps — Bringing more data to the tool, plant ranges are based on the actual observations for each plant, as well as the annual rainfall range, summer rainfall, coldest month temperature and hottest month temperature ranges for each plant in each Jepson bioregion. Sign and Label Printing — Print with QR codes for any Calscape plant list with easy spreadsheet export functionality. Let’s you easily makes sign for each plant in the plant list, as well as comprehensive plant list. Have you used Calscape for your garden? We’d love to hear your story! Contact us at cnps@cnps.org. We have so many reasons to love our native plants—their beauty, the way they make gardening so easy and so rewarding, how make themselves so at home in our gardens. They are the plants that are thriving without summer water, the ones I don’t have to maintain, and can just enjoy. And they bring a great deal of pleasure to the birds and insects that are also part of my garden landscape. I am always amazed at the variety of insects that hover around the buckwheats in my garden (Eriogonum latifolium and E. grande var. rubescens). I’ve seen many tiny native bees, honeybees, and other pollinators, plus at least a half dozen of the smaller butterfly species. Buckwheats are also caterpillar food plants for the Acmon Blue, the Blue Copper, and other butterflies. One of the most sought after nectar plants in my garden from mid-summer into fall is California aster (A. chilensis ‘Pt. St. George’). It gets barely any water at all, forms a low-growing carpet, and blooms for months with small lavender flowers that feed a host of butterflies, bees, and other pollinators. In early spring, the whorls of flowers on the native salvias—brandegee sage (S. brandegei), black sage (S. mellifera), and purple sage (S. leucophylla ‘Pt. Sal’)—are a welcome sight to native bees that have just emerged, Anna’s hummingbirds, and the early butterflies. They, too, receive no summer water. Birds forage not only on seeds and fruit, but on the many insects our California natives attract. One outstanding example is coyote bush (Baccharis piluaris), which attracts over 200 insects, which in turn feed many songbirds, bats, and other creatures. 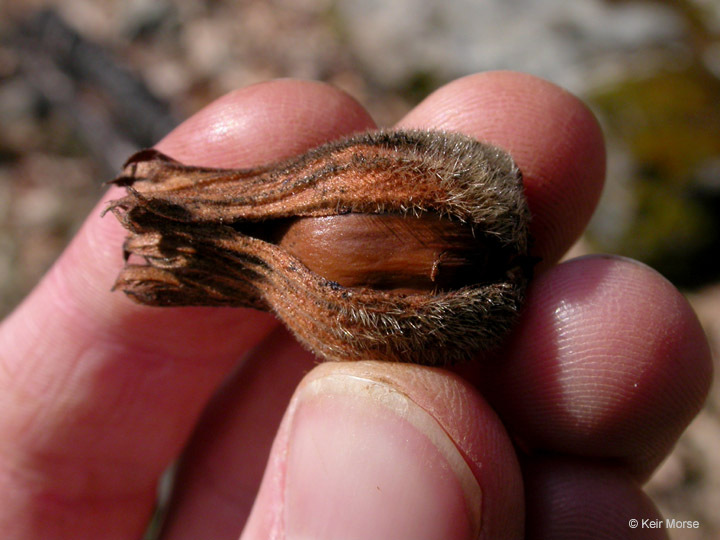 White-crowned sparrows, finches, and other seed-eating birds feast on the seeds, though they too supplement their diet with insects when seeds are in short supply. If you don’t have room for the shrubs, the prostrate form B. pilularis ‘Pigeon Point’ makes a neat bright green carpet only one foot high but up to six feet wide. Plant it in full sun or part shade with occasional water if needed. Our native milkweeds are not only caterpillar food plants for the monarch butterfly and a nectar source, they also provide seeds for small mammals and birds. Ladybird beetles and the larvae of lacewings and other beneficial insects hunt the orange oleander aphids associated with milkweeds. 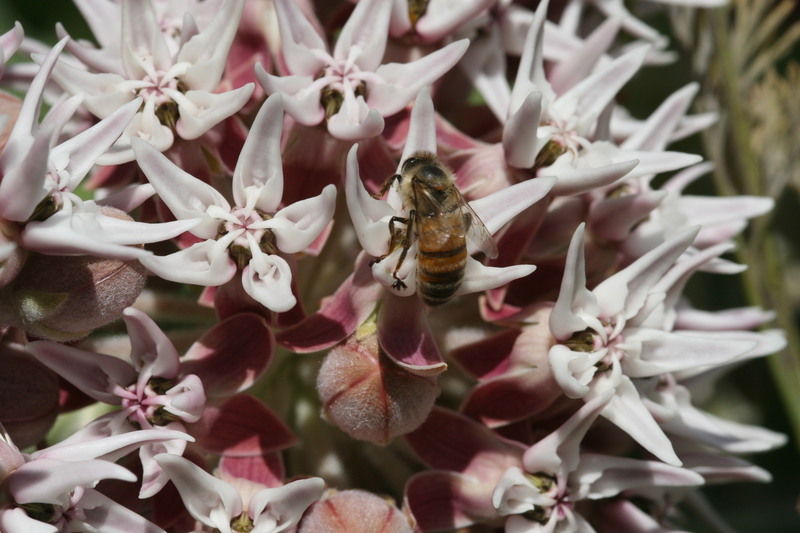 Two species of beetles and two species of true bugs are milkweed specialists. Nancy Bauer is a wildlife habitat gardener and author of The California Wildlife Habitat Garden (UC Press, 2012) and The Habitat Garden Book: Wildlife Landscaping for the San Francisco Bay Region (2001, 2008). She has been teaching and writing about wildlife habitat gardens for over 10 years. 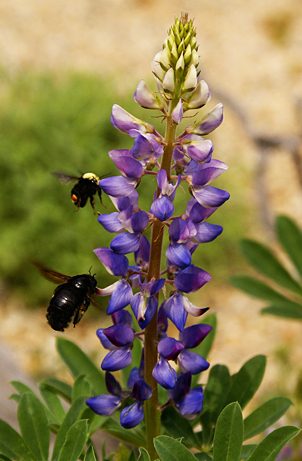 Carpenter bee, bumblebee and Arroyo Lupine (Lupinus succulentus). Photo by Debbie Ballentine. In celebration of National Pollinator Week (June 20th-26th) the Xerces Society, the largest pollinator conservation organization in the world, brings awareness to the dangers of a commonly used class of insecticide known as neonicotinoids, or neonics. One of the many benefits of gardening with natives is their ability to provide food and habitat for pollinators. However, when treated with neonics, the insecticide is expressed systemically to all parts of the plant, thus turning pollinators’ sources of pollen and nectar into a toxic danger. The Xerces Society explains, “As a gardener, you have a unique opportunity to help protect pollinators by avoiding the use of these insecticides, asking your local nursery or garden center if plants have been treated with neonicotinoids, and encouraging your city or park district to use alternatives to neonicotinoids on plants that are visited by bees or are bee-pollinated.” Jennifer Hopwood and Matthew Shepherd of the Xerces Society explore the effects of neonicotinoids in further detail in the article “Neonicotinoids in Your Garden”: Read More.